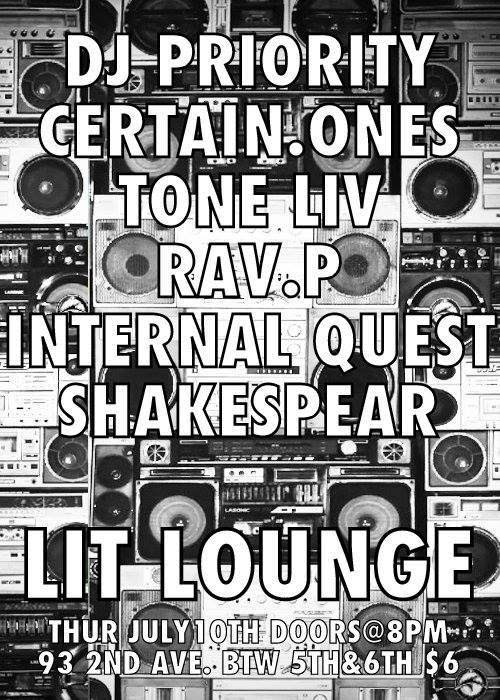 Come out Thursday July 10th when CERTAIN.ONES invades NYC's Lit Lounge along with Faheem DjPriority Jackson, Tone Liv, Passport Rav, Terry Quest Booker and WillIamShakespear! Should be a crazy night!! So tell a friend to tell a friend! — at Lit Lounge.